Perfect fit from day one. Lots of compliments. The most comfortable shoe that I’ve ever own. 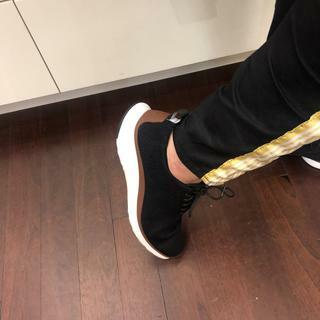 I can wear them with a suit for work that gives me a very business look with a modern trendy look or with jeans or khakis for the more casual look. I walk on hard floors all day at work but can't wear sneakers. These look great and are as comfortable as a sneaker. I will be buying other colors. They fit true to size for me. BEST SHOE EVER FOR WORK OR PLAY! Love! A nice updated classic. Great for work. Traveling to the Caribbean need something stylish yet classy for the hot climate.. I like shoes that breath. 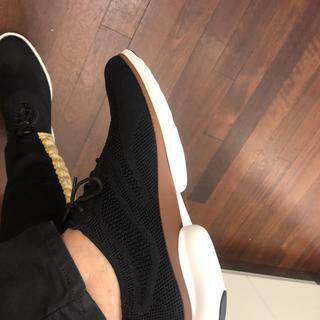 ok, can you tell me about this shoe specifically though? I have a pair of zero grands and the insole is removable. I don't want to order these if the insole is not and I saw on a different site (nordstrom i think) were this shoe has a padded removable insole. I wanted to check with cole haan to be sure, but i need to know about this particular shoe as opposed to most of your shoes. I wear a size 12 and I was wondering should I get a half size smaller? I purchased an 11.5, the size I wear everywhere and they fit perfectly.